Honey is honey, you say? Well yes and no. If you're stirring it into a hot, highly flavored tea, most flavor difference between types of honey will be lost, true. Yet, bees that feed on specific plants make honey with truly unique flavor profiles. To taste the difference, try different kinds of honey side-by-side spread onto plain toast or a biscuit. Or, do what professional tasters do and try some all by itself spooned out of the jar. 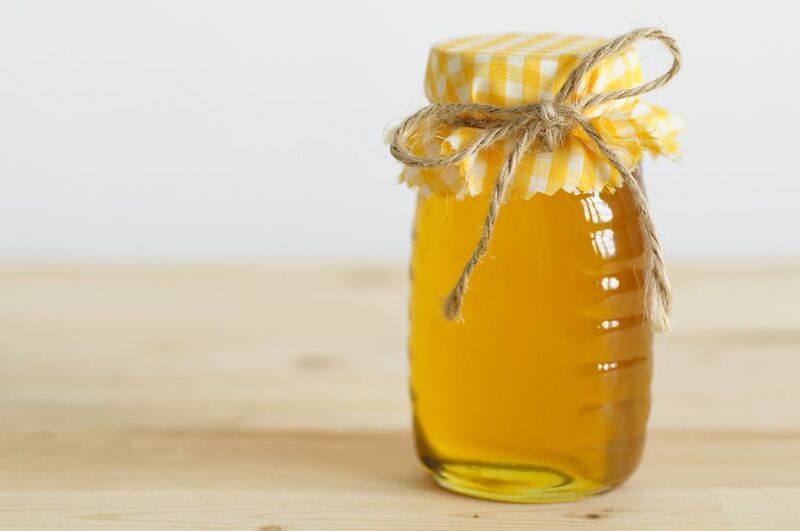 You can usually find specific varieties of honey at farmers markets, farm stands, and specialty stores. To really experience these different flavors, you will need to look for raw or unpasteurized honey. Once heated through pasteurization, many of the flavor differences between the types of honey are lost and the product becomes simply sweet. Most honey purchases through beekeepers and farmer's markets are raw. You can also find raw honey at specialty stores and health food stores. These are some flavor profiles that you can expect from different types of honey. Acacia is very sweet with a clean, pure, classic honey flavor. Alfalfa is light honey with a nice mild spicy note and floral aroma. Blackberry honey is deep and rich while still being fruity. Blueberry honey has a slight tang and a fruity flavor. Buckwheat is tasty on toast. Its strong and spicy flavor makes it perfect for marinades. Clover is classic honey that's light, sweet, and floral. Coffee honey tends to be quite dark, with a rich, deep flavor that matches its color. Eucalyptus honey has just a hint of menthol flavor in it, making it perfect for stirring into tea. Fireweed honey has a markedly complex flavor and a slightly buttery texture. Like buckwheat honey, it can stand up to meats, marinades, glazes, and grilling. Heather is pungent and almost bitter, in a good way. It's great with smoky things, or on wholesome baked goods. Linden honey is quite delicate and has a fresh, woodsy aroma that goes perfectly with tea. Macadamia nut honey has a distinctive sweet and nutty flavor with a lovely floral scent. Orange blossom is widely available, but watch out, much of the orange blossom honey on the market is artificially flavored. Real orange blossom honey is mild and citrus-scented with a floral aroma, but it should not smell like perfume when you open the bottle. Palmetto is mild honey with balanced sweetness. Sage is a lot like palmetto honey: mild, sweet, and flexible. Sourwood is caramel-like and buttery and delicious on toast, biscuits, muffins, and any other food item you can think of. Tupelo honey is somehow sweeter than other types of honey but with a lovely balanced mild flavor. Wildflower honey is light and fruity yet richly flavored at the same time. The specific wildflowers from which the bees got the nectar to make this honey will turn the flavor more delicate or intense. If you get a chance, taste the batch first; it is a good idea if you have a certain flavor profile in mind. What Makes Raw Honey So Amazing?